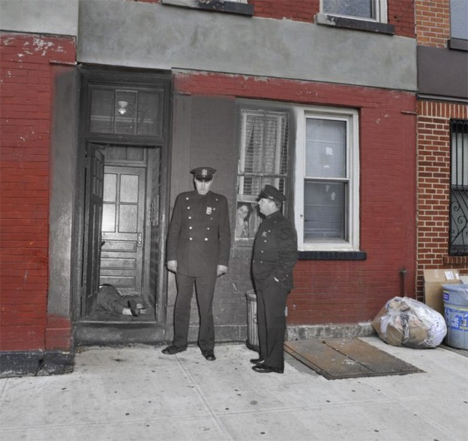 Murdered gangsters, car crashes and four-alarm fires are nearly forgotten in the peaceful present day, but this photo series reminds us that the past is not so far away. 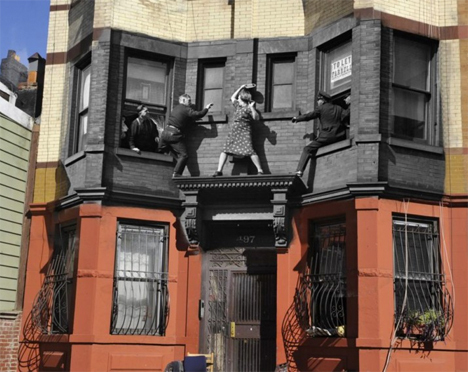 Photographer Marc A. Hermann, a historian with the New York Press Photographers Association, lays old New York City crime scene photos on top of their present-day locations for dramatic juxtapositions of time period and mood. 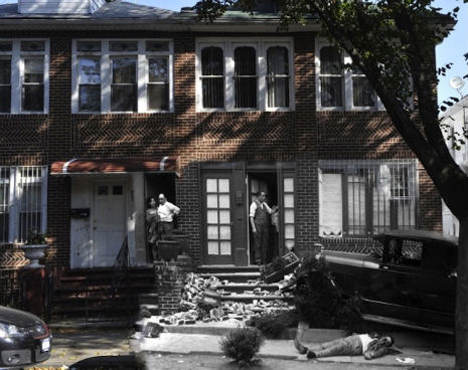 Warning: these are real crime scene photos, and aren’t for the faint of heart. The very recently deceased are seen cradled in the arms of their loved ones, or sprawled out on the floor. 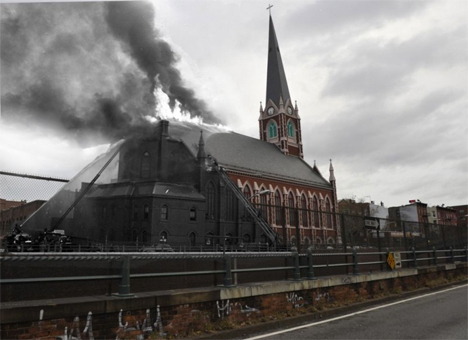 The top photo depicts a distraught woman who climbed onto the ledge of her building; the second shows the Church of the Sacred Hearts of Jesus and Mary aflame. The demise of gangsters Salvatore ‘Sammy’ Santoro and Frankie Yale can be seen after a shooting and a car crash, respectively. A woman hides her face in mourning of her sister in front of the ruins of a car. 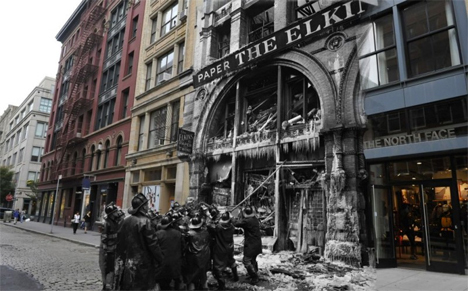 Firefighters battle a blaze at the Elkins Paper & Twine Co. that claimed the lives of six people. 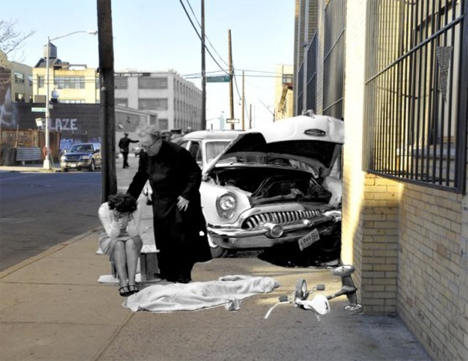 In each photograph, the black-and-white historical image contrasts sharply with the modernized full-color setting. Tourists stroll past the scenes of some of the city’s most tragic disasters, completely unaware. The message seems to be that life goes on, but the ghostly imprints of those incidents remain. See the full series at New York Daily News.